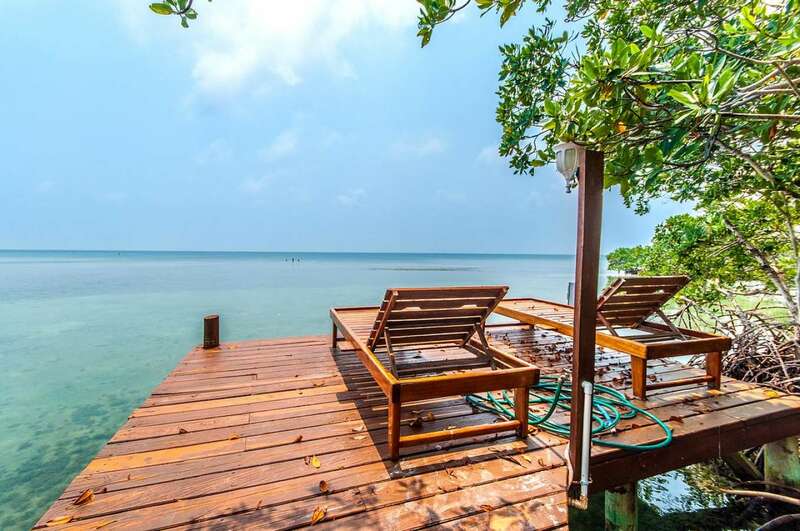 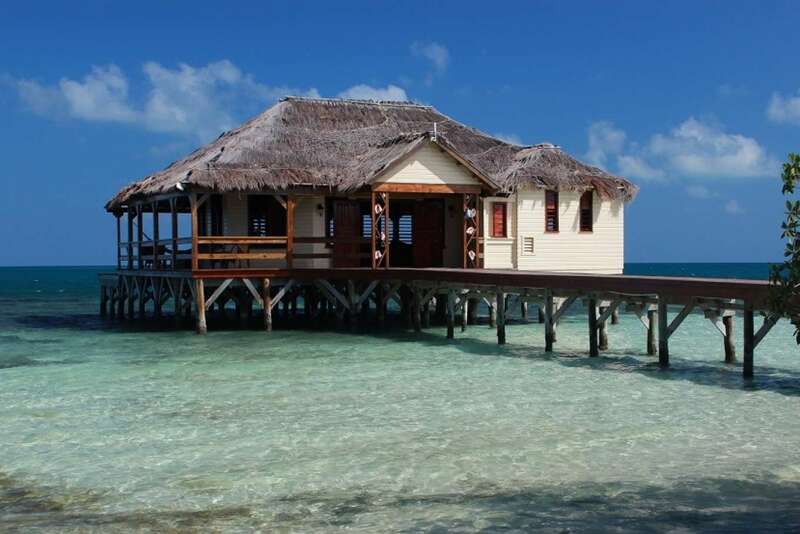 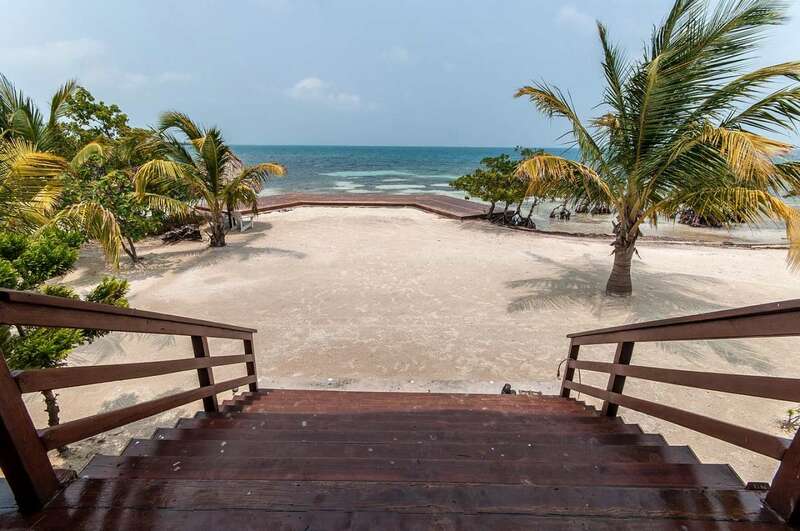 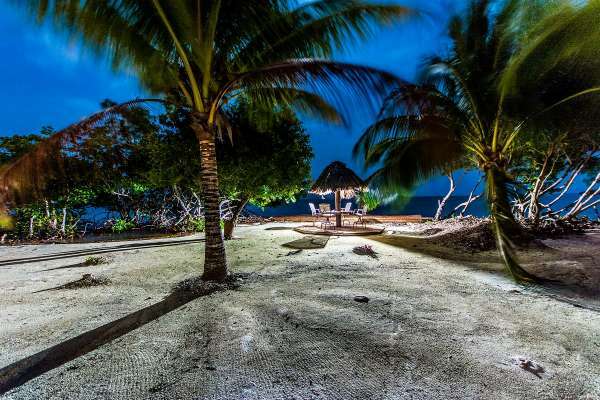 Lying in the azure waters of Belize’s Cockney Range, only 6.5 miles east of the Sittee River Bar mouth and Hopkins Village, Jewel Caye delivers two acres of tropical seascapes. 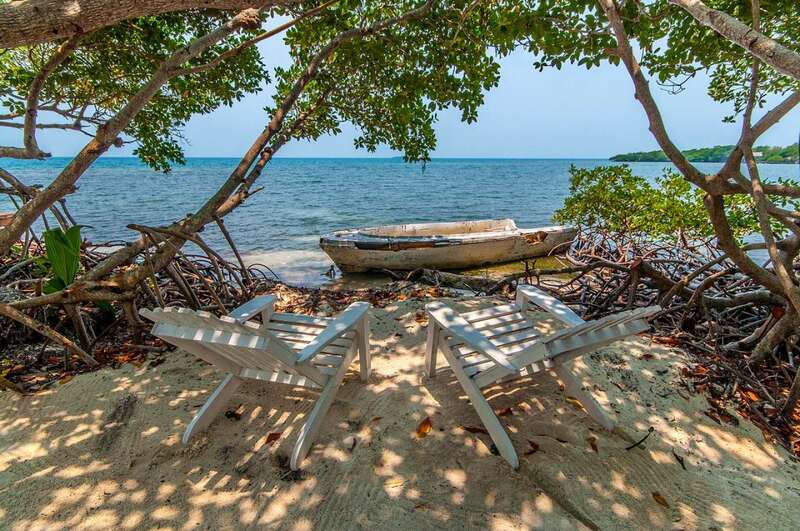 White sand sparkles in the sunlight and elegant coconut palms sway overhead, setting the stage for the quintessential private island getaway. Two light, airy master residences are tucked into this tranquil backdrop, one on the island’s north end and the other at its south. Both homes measure approximately 2,000 square feet, and feature high wood-beam ceilings, natural wood floors, a modern kitchen, living and dining space, a loft and an expansive balcony. 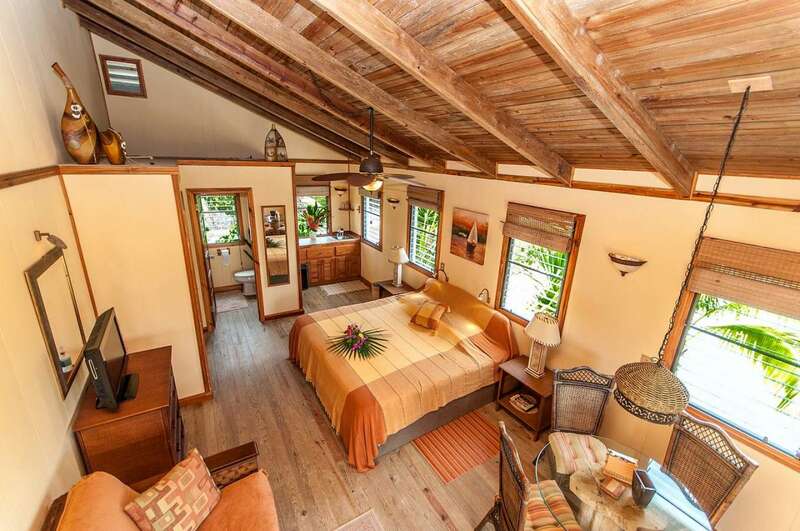 The spacious master suite in each home includes a private four-piece bathroom. 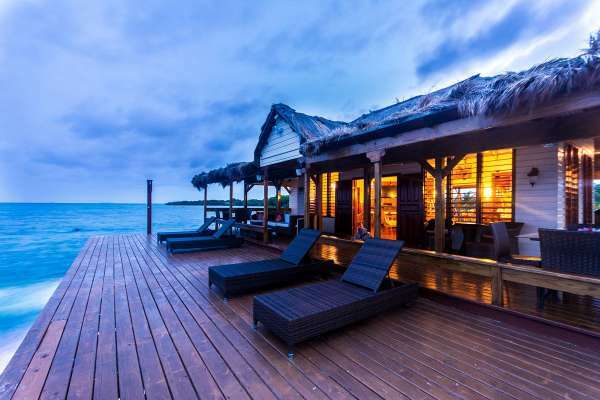 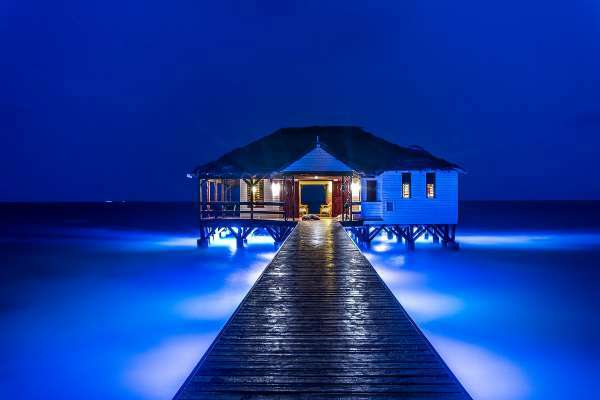 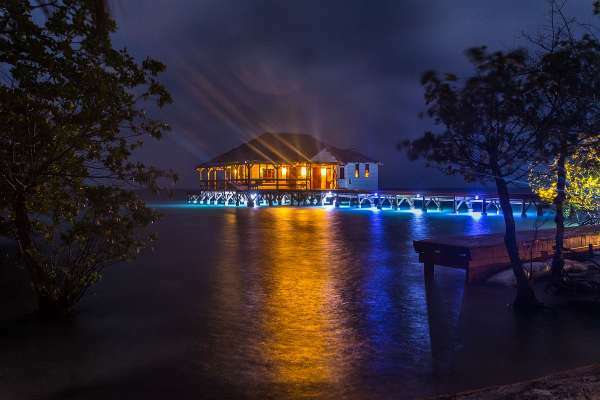 The island’s stunning showpiece is a six-foot wide pier that stretches over the Caribbean Sea for 120 feet before fanning into a nearly 3,000-square-foot deck with a grand open-air clubhouse that houses the main kitchen, dining room and bar. With seating for 22 inside and 18 outside, it’s the ideal area for guests to socialize over meals of fresh local seafood, catch some rays, or slip into the water to explore the surrounding coral reefs. 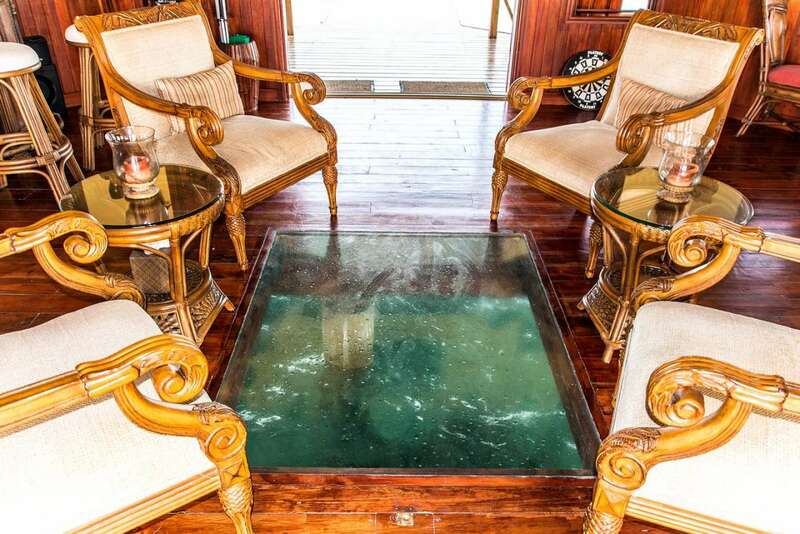 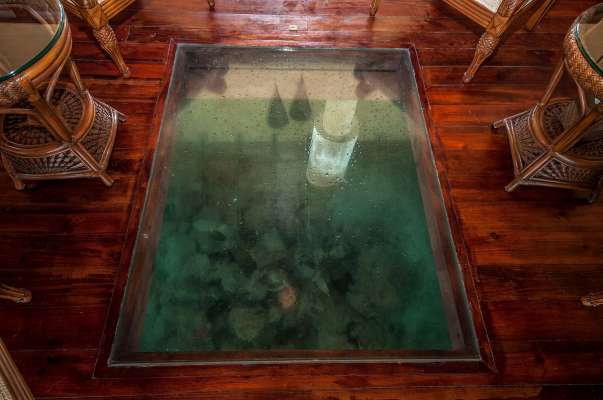 As an added bonus, a glass floor at the center of the clubhouse provides a bird’s eye view of the region’s colorful marine life. Additional accommodations come in the form of two sizable duplexes that flank the master homes. 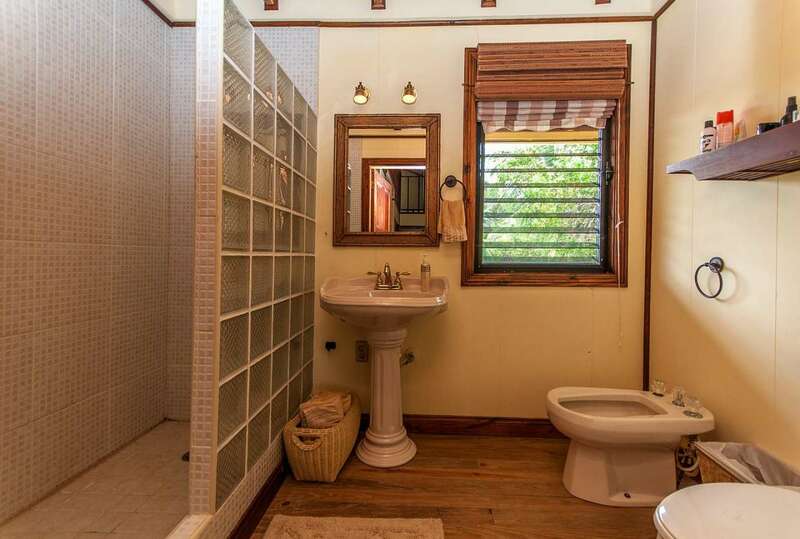 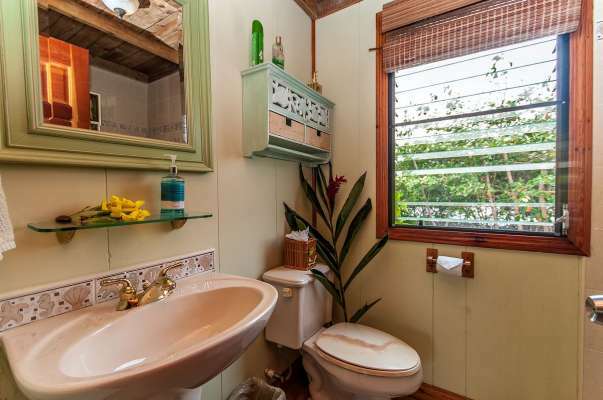 Each one is more than 1,120 square feet, and has a loft for extra guests, a kitchenette with small refrigerator and sink, and either one or two full baths. 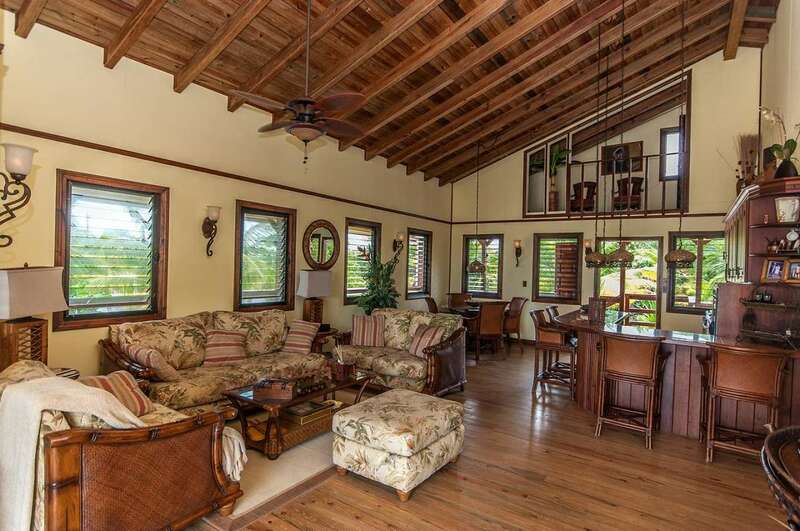 All of the dwellings are elevated six feet above grade to capture the fresh sea air and enhance the views. 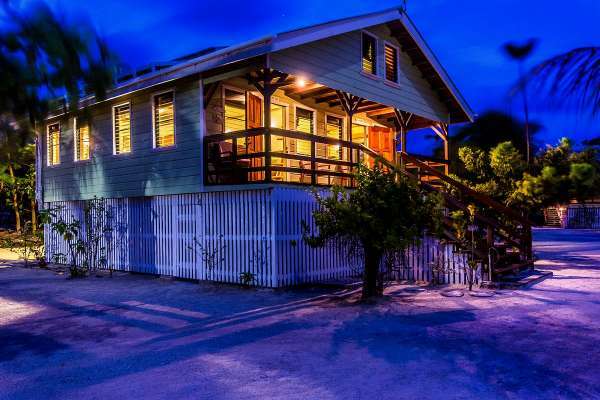 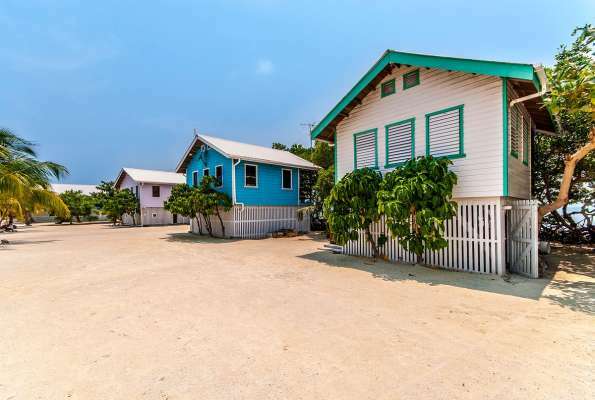 Nestled between the duplexes in the center of the island are three more homes, each with a full bathroom, which are used for crew quarters; they can sleep up to 10 people and could easily be converted into guest accommodations. An abundance of decorative plants complement the palm-dotted landscape, and decks with palapas on the windward and leeward sides of Jewel Caye ensure there is always a quiet spot to watch sunrise and sunset. 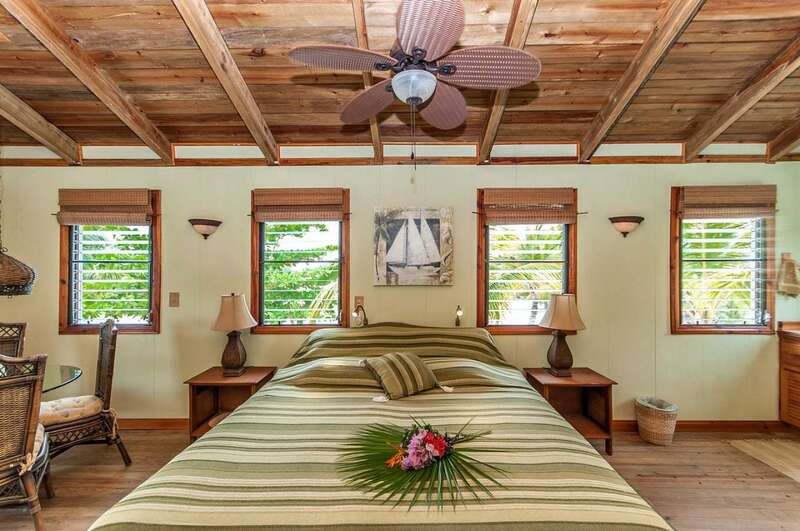 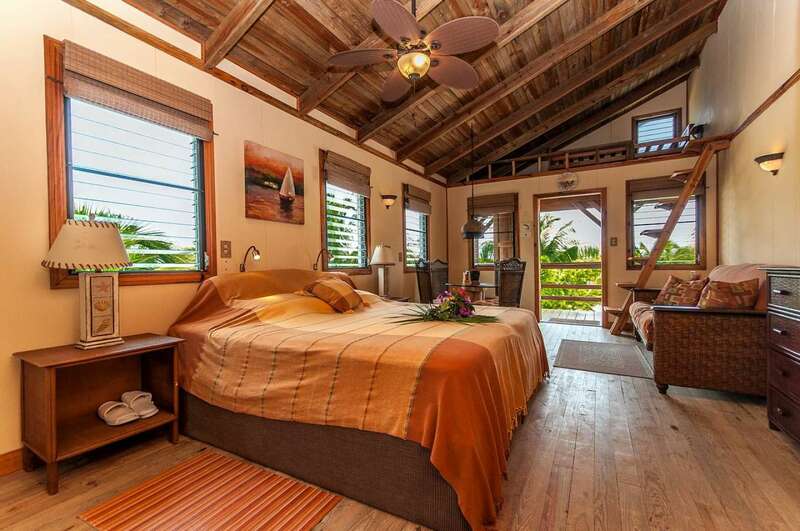 The island’s power comes from state-of-the-art solar-powered water heaters and electrical systems. When the need arises for additional power, an 18-kilowatt generator is on standby. 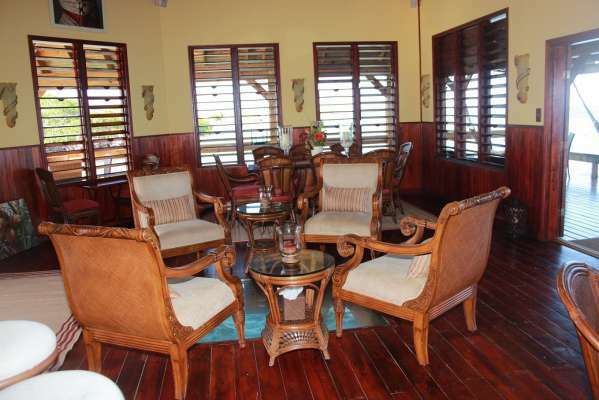 Satellite TV and WiFi also are in place. The natural water collection system captures rain from the buildings’ rooftops and channels it into 61 550-gallon cisterns where it is pressurized, filtered and emerges purer than the bottled water sold in Belize. 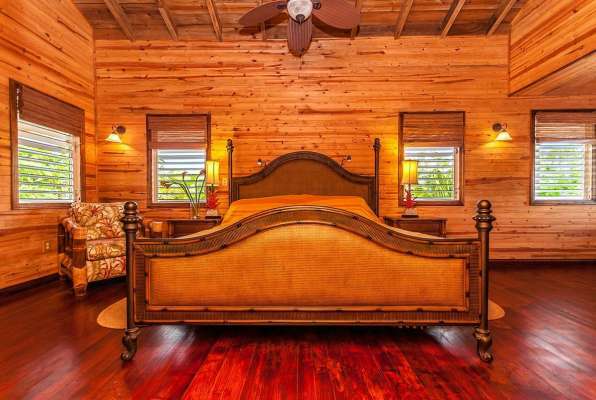 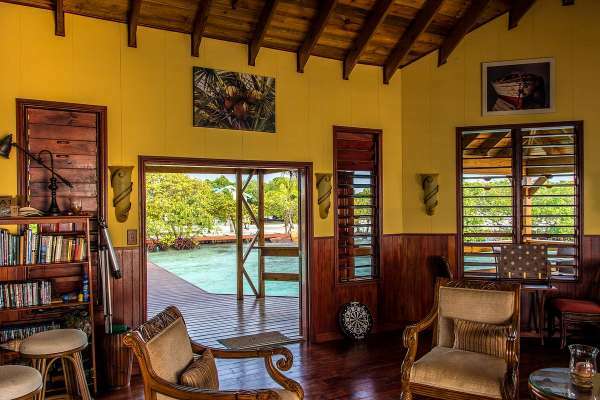 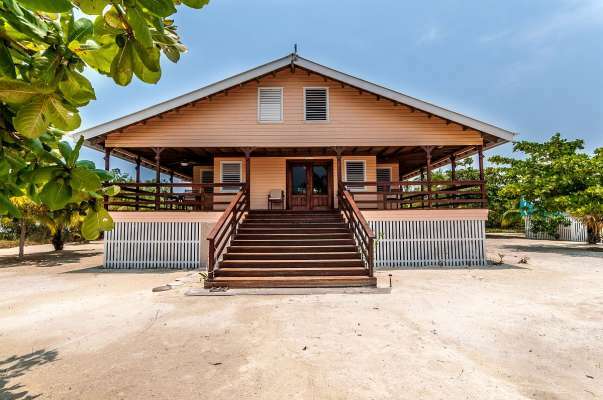 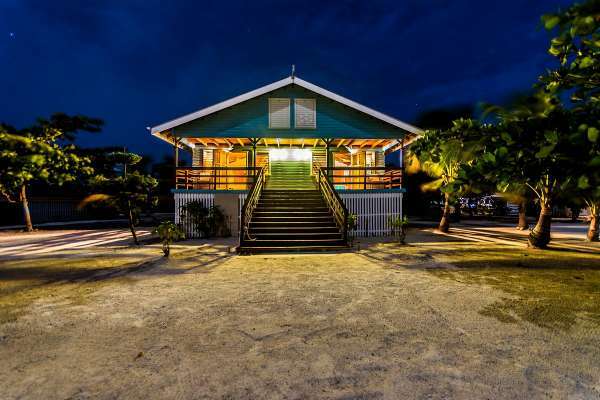 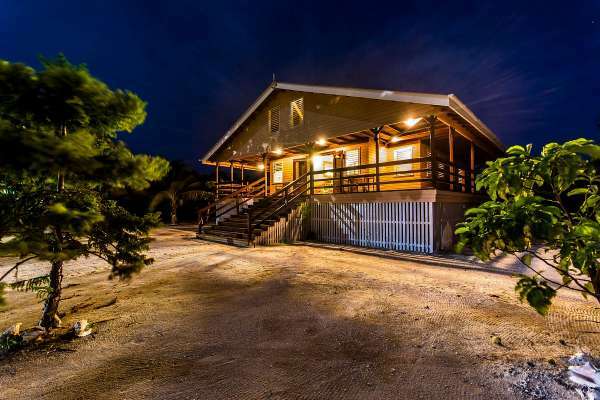 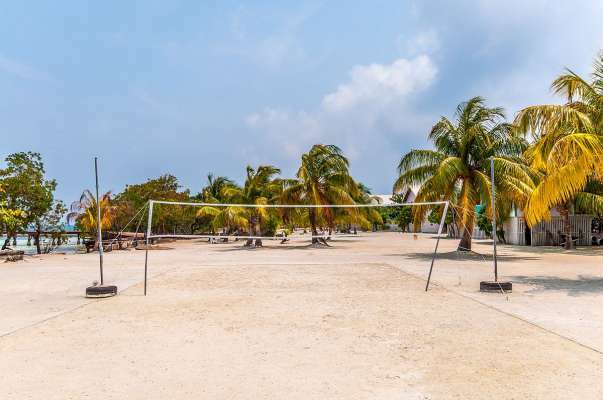 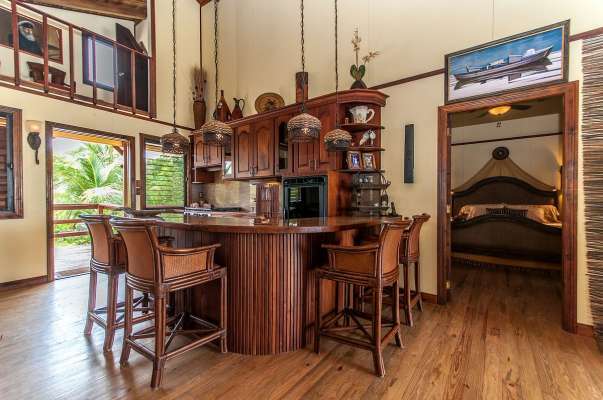 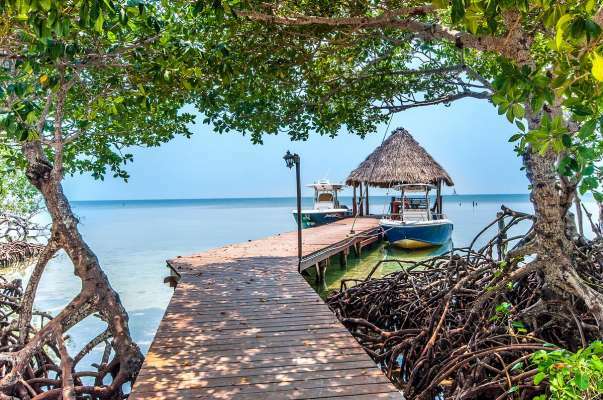 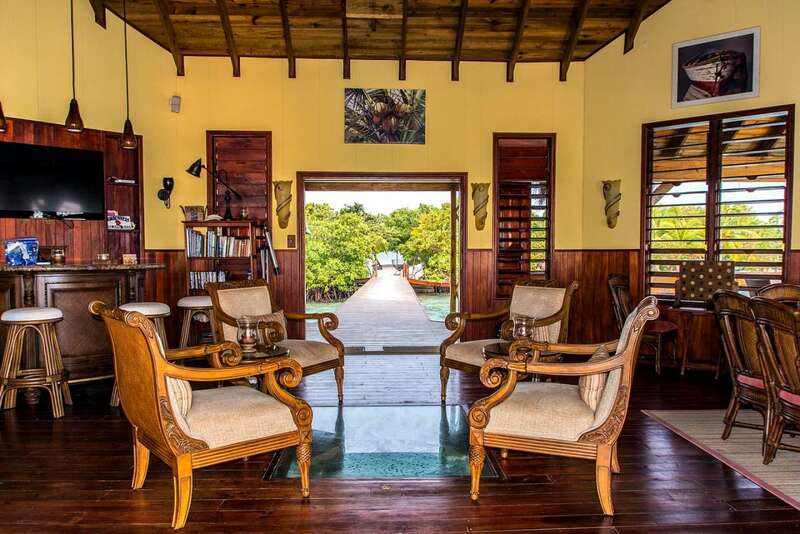 Remote in feel but convenient to the mainland, Jewel Caye is less than a 20-minute boat ride from the scenic village of Sittee River, which has a fuel station that supplies gasoline, diesel and propane. 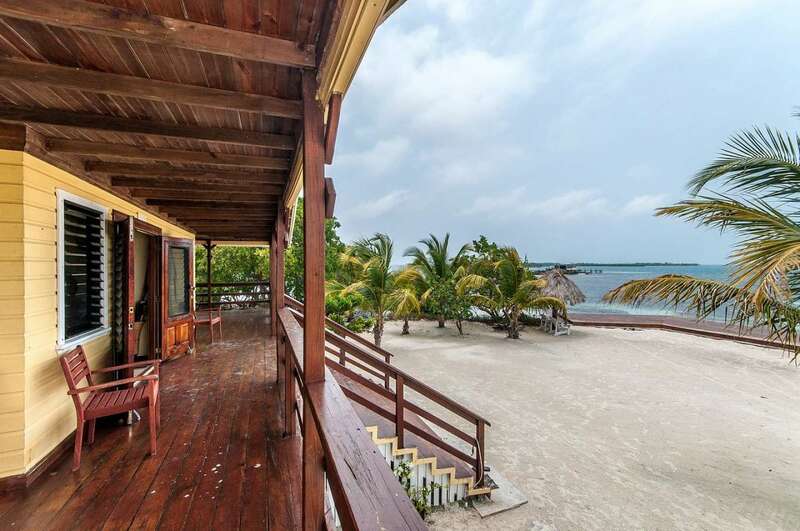 The island may be purchased on its own or in tandem with Jewel Landing, a spacious two-story mainland home surrounded with tropical gardens. 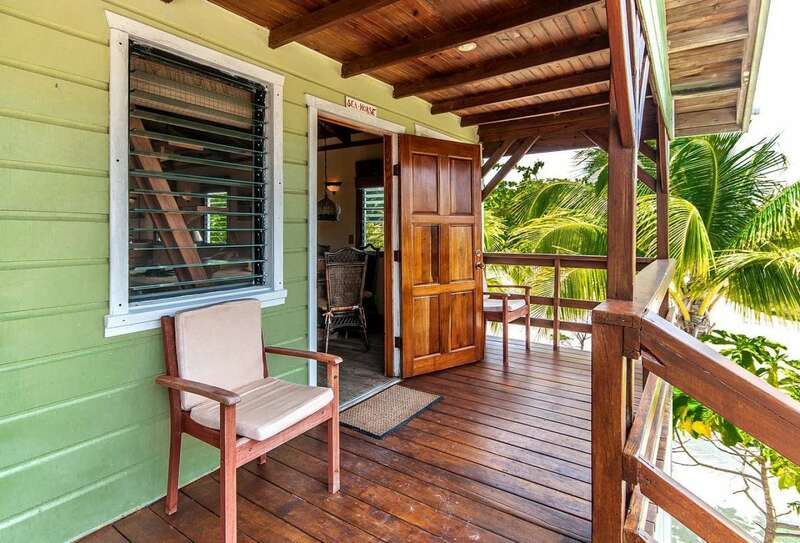 Recently rebuilt, Jewel Landing boasts three bedrooms and two bathrooms, a full kitchen, dining area and screened terrace on its ground floor—ideal for live-in staff. 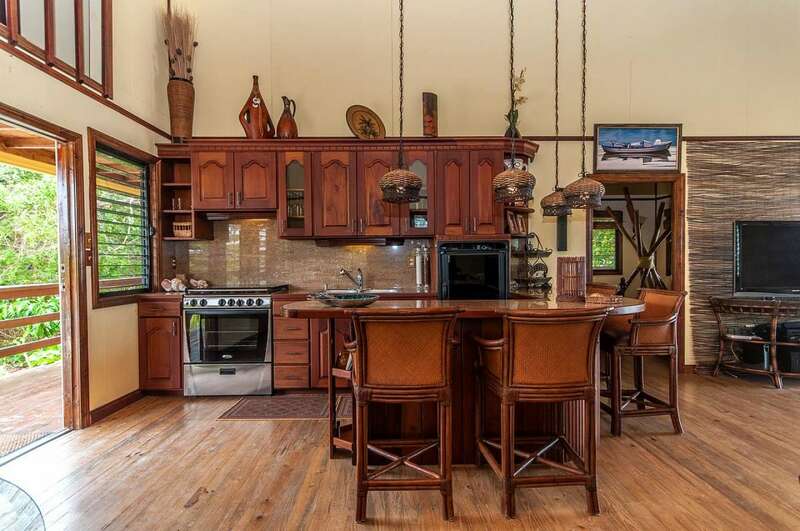 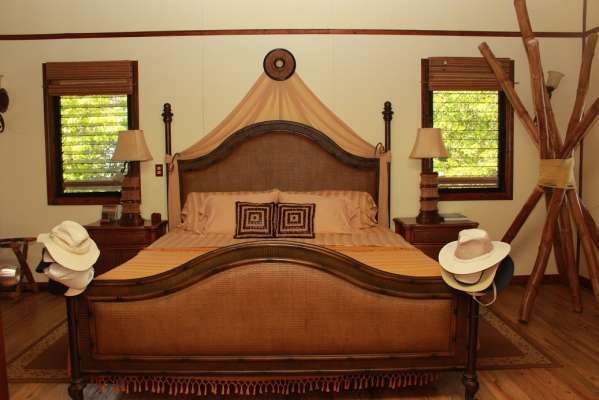 The second floor has three bedrooms with en suite bathrooms and an additional full bathroom, plus fully equipped kitchen, dining and living rooms, and a veranda with river views. 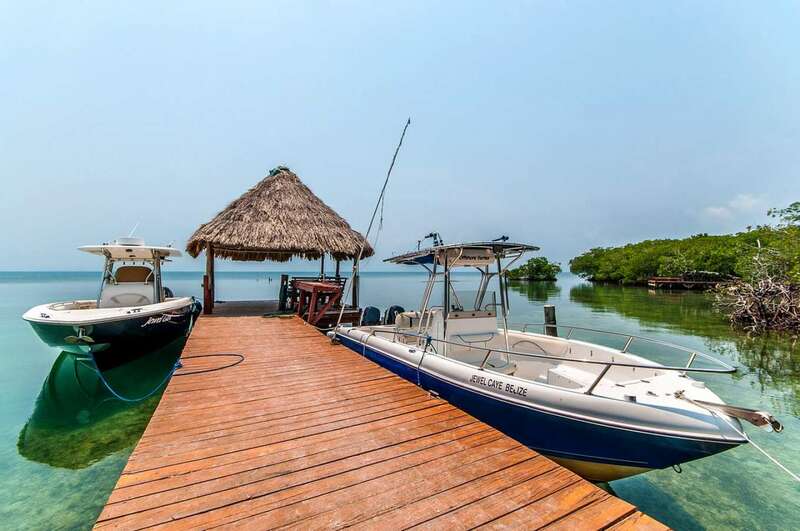 A storage area houses the included boats: a 34-foot Boston Whaler and a 20-foot skiff. 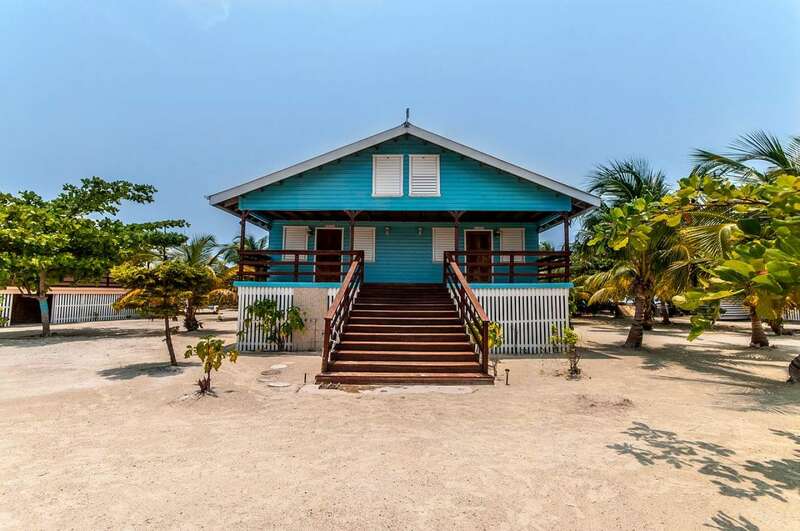 Nearby Hopkins Village, often referred to as the country’s cultural capital, attracts visitors who want to experience the dance, music and cuisine of the local Garifuna people. 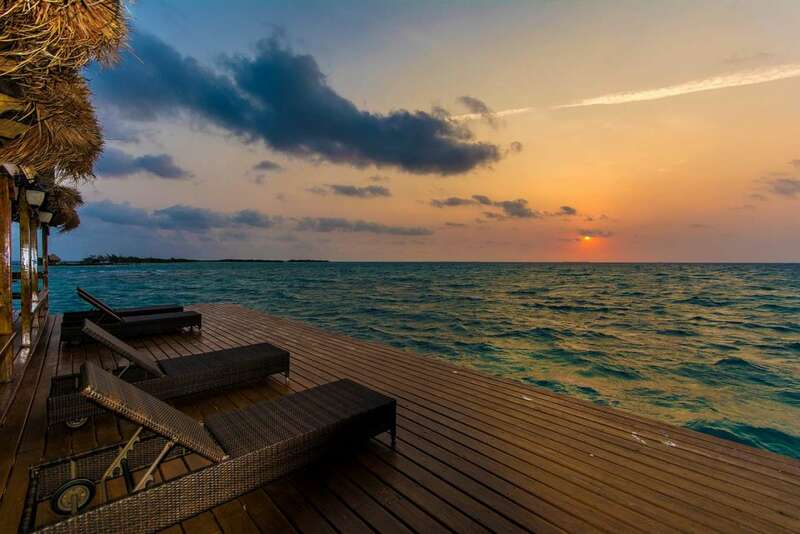 Philip S.W. 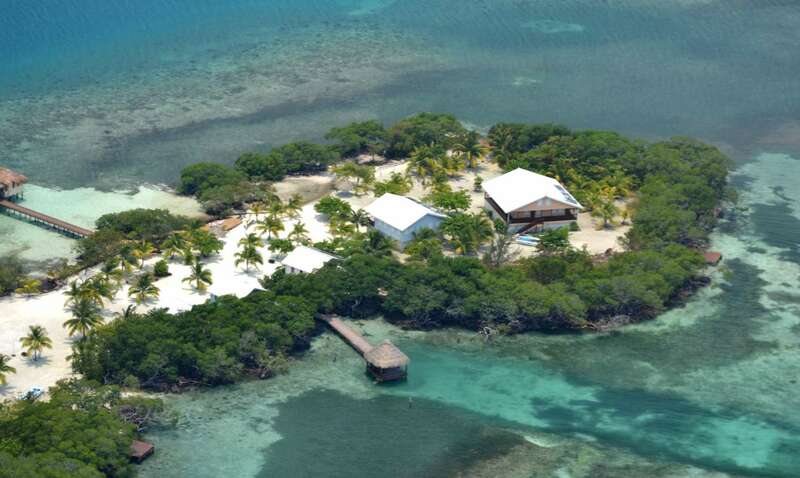 Goldson International Airport in Belize City is about 90 miles to the north. 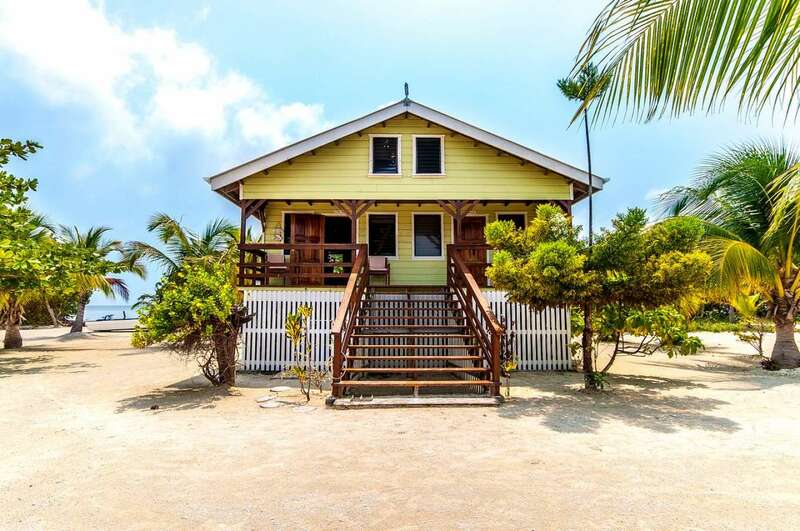 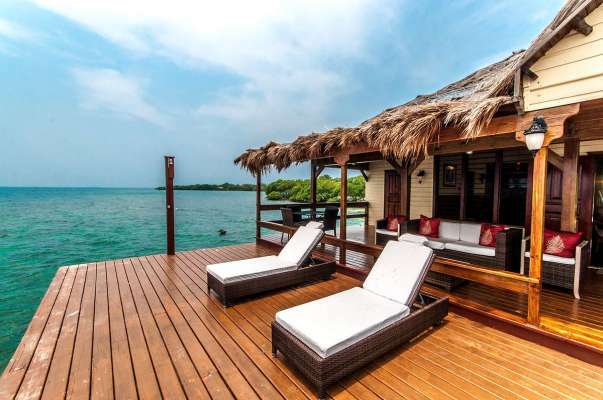 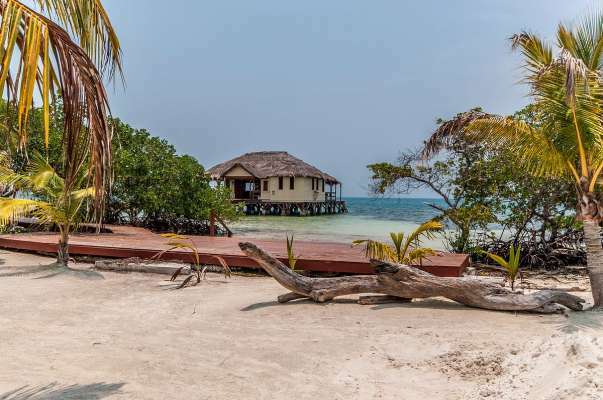 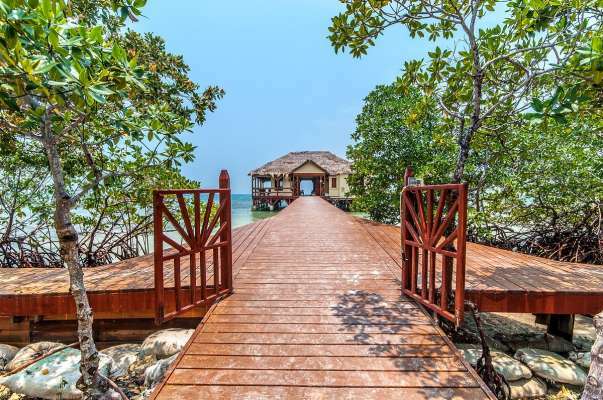 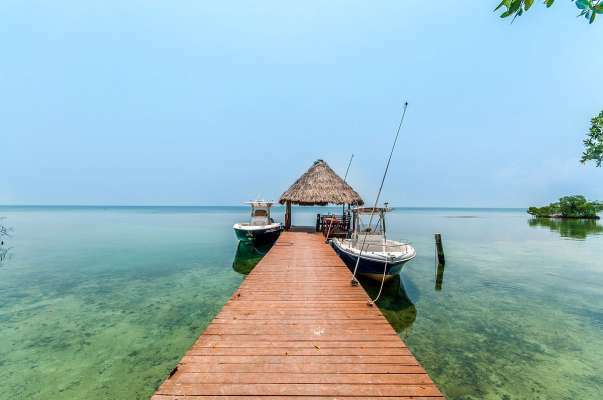 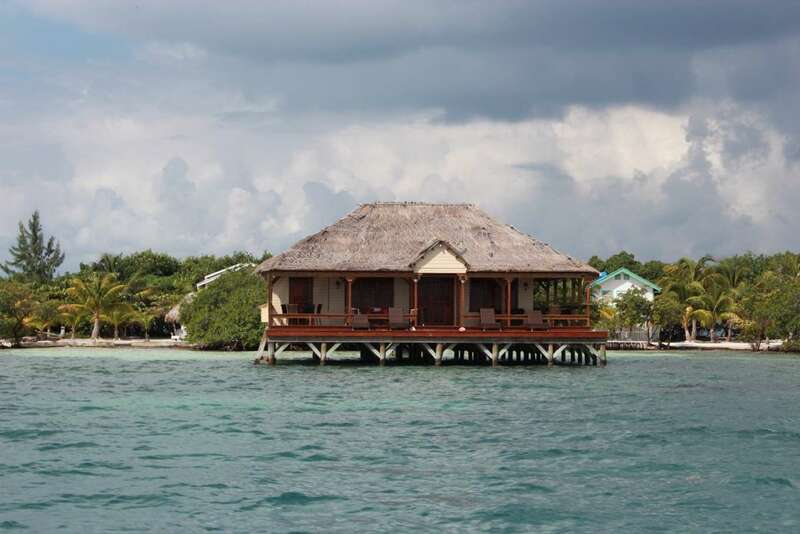 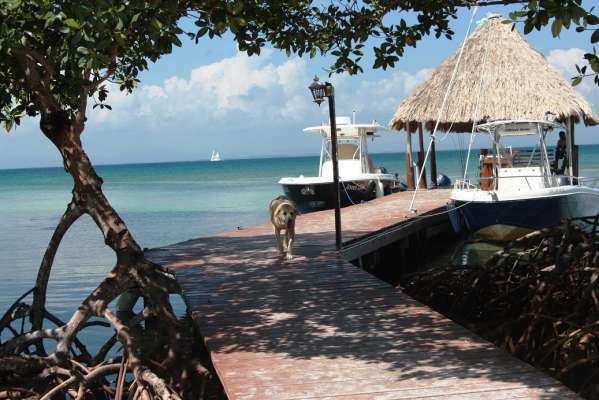 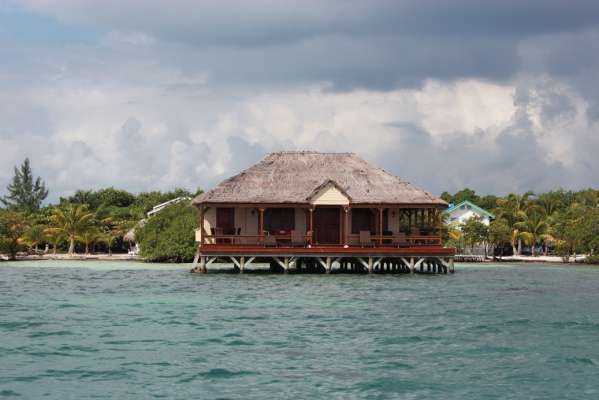 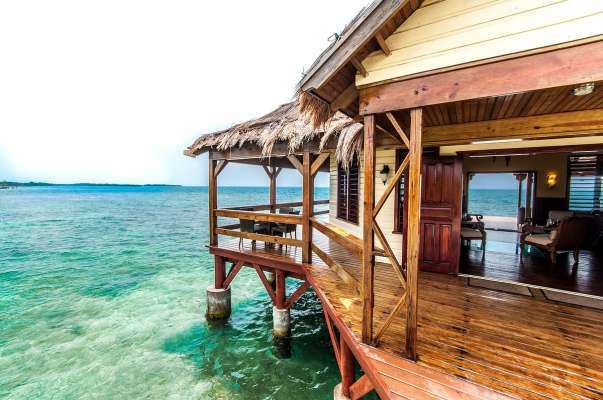 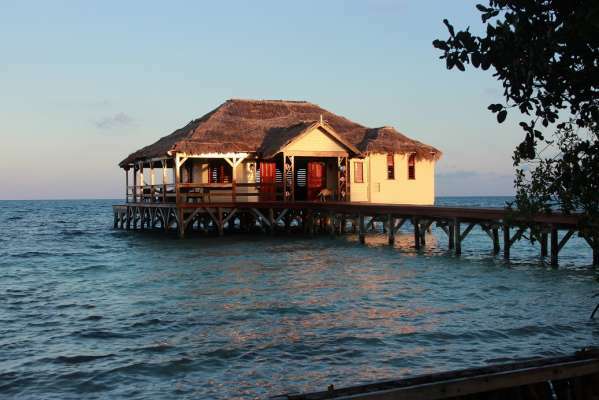 Although currently a private retreat, the turnkey combination of Jewel Caye and Jewel Landing would allow for instant transformation into a commercial venture that capitalizes on their location in one of the best fishing, diving and outdoor adventure regions of the Americas.